I often hear inaccurate claims about what neuroscience states or what neuroscience knows or what neuroscience has proven. These type of misstatements take several forms. One very common type of misstatement is when people confuse the opinions of neuroscientists with neuroscience itself. The two are not identical. Neuroscience consists of the observations and experiments that have been published in neuroscience journals. Neuroscientists may hold quite a few opinions that are not justified by such observations and experiments, largely because such opinions are expected within their particular intellectual set. Such opinions should not be classified as neuroscience, but as the typical opinions of neuroscientists. Another common type of misstatement is when someone glibly claims that neuroscience has proven some particular claim, when in fact neuroscience may have merely hinted at such a thing as a possibility. 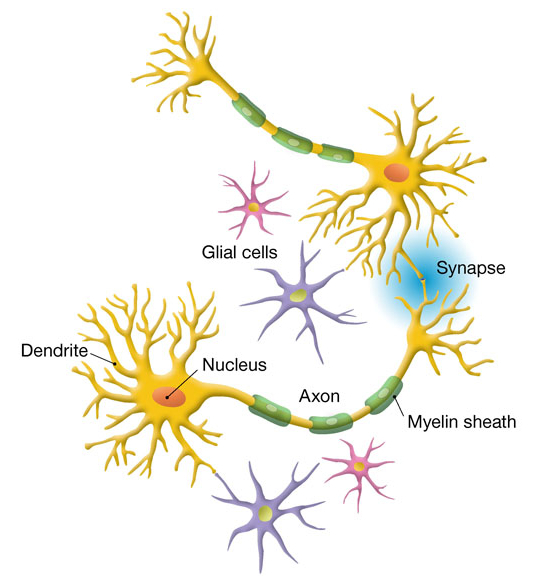 One example may be claims that memories are stored in synapses that link together brain cells. In fact, we have no real understanding of how memories are stored. Neurobiologist David Glanzman at U.C.L.A is quoted as saying this work “implies to me that the memory wasn't stored in the synapse.” The article then suggests that perhaps memories are really stored inside a brain cell itself. Such a development should cause us to have little confidence in either the claim that memories are stored in synapses or the claim that memories are stored in brain cells. Similarly, if scientists one day suddenly announced that the sun gets its power not through thermonuclear fusion but through some process called photon transduplication, then we should doubt very much that either explanation is valid. In general, when someone changes his story to some different explanation, it is best to be skeptical about the new explanation for quite a while. Rather than claiming we have some clear understanding of the relation between the brain and memories or consciousness, it would be more candid and honest for us to admit our profound ignorance about the topic. There are many facts and findings that conflict with the simplest assumptions one can make about the brain, that it is some kind of machine that is the sole cause of your consciousness and the sole storehouse of your memories. I have written two previous blog posts (here and here) discussing some of those facts and findings. Rather than repeating any of these items in this post, I will discuss additional things not listed in those posts. The first is the strange case of Phineas Gage. Gage was a railway worker who in 1848 had a three feet long javelin-like piece of iron (one and a quarter inches or 3.2 cm. in diameter) accidentally spear through his skull, passing right through his brain, and producing a 2-inch exit wound. His brain suffered about the same onslaught a brain would suffer if you held two 45 caliber pistols barrel to barrel, one in your left hand and one in your right,and then fired them into someone's skull. The path of entry was entirely through the brain, not merely on the edges of his brain. But Gage did not die, and apparently did not even lose consciousness (or perhaps suffered only a short loss of consciousness). A medical report in 1850 reported that Gage was “quite recovered in faculties of body and mind.” It's true that after the injury people reported that he became rude, profane, and capricious, but such problems are rather trivial compared to the results we would expect from such an injury: death, loss of all memory, or a great loss of intellect. How is it that we can reconcile the case of Phineas Gage with the assumption that your brain is the sole source of your consciousness? It is not at all clear. Here is another very strange fact to consider. According to scientists, the male human brain has 6.5 times more grey matter than the female brain. But the female brain has 9.5 times more white matter. Scientists say that grey matter is a lot more involved in thinking. So the theory that your brain is the sole producer of your consciousness would seem to predict that there should be the most radical difference between the male intellect and the female intellect – like the difference between two species on two different planets, or perhaps the difference between a man and a squirrel. But there is no such difference. The differences are instead relatively trivial. We see males doing about 10% better on the SAT Math tests, but according to the difference in grey matter, we might expect that to be a 600% difference. This is a huge paradox, and there are many other paradoxes involved with the brain. The Paradoxical Brain is a 466-page book published by the Cambridge University Press. According to the summary on www.goodreads.com, “The Paradoxical Brain focuses on the phenomenon whereby damage to the brain can actually result in enhancement of function, questioning the traditional belief that lesions or other negative effects on the brain will result in loss of function.” How are such paradoxes compatible with the simplistic assumption that your consciousness is nothing but a by-product of your brain? If you give such paradoxes and anomalies some careful consideration, then the next time you hear some dogmatic neurologist claiming to understand your consciousness or your prospects of survival after death, you can ask yourself: does this person really understand these profound mysteries, or is he merely a pretentious “knowledge poseur” who is claiming to understand matters far beyond the ken of any human? Wishing to cleanse their minds of any suspicions that our universe may not be the purely accidental thing they imagine it to be, quite a few materialists have adopted the theory of a multiverse. This is the idea that there are a vast collection of universes, each very different from the other. 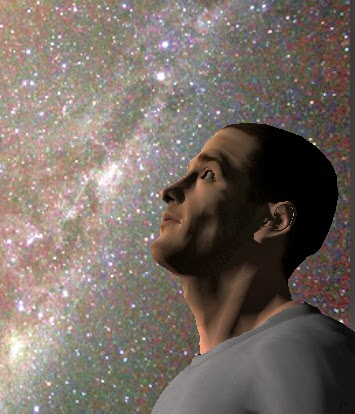 The reasoning is that if there were to be, say, an infinite number of universes, each with different laws and properties, then we would expect that at least one of them would have the properties necessary for intelligent life, no matter how improbable it may be that such properties would exist. But there are many problems with trying to use a multiverse to explain cosmic fitness, or to explain anything at all. Let me list some of them. The first reason is that a multiverse violates to the most extreme degree imaginable the long-standing principle of Occam's Razor, which has been evoked by many a scientist over the centuries. Occam's Razor is the principle that “entities should not be multiplied beyond necessity” when explaining things, or that we should prefer to explain things as simply as possible. A multiverse is the greatest imaginable violation of the principle of Occam's Razor. A multiverse is what you might propose if you were following the exact opposite principle, a principle of “entities should be multiplied to the greatest number possible” when trying to explain something (a demented principle we might call “Anti-Occam's Razor”). Although often made within scientific discussions, the theory of a multiverse is a metaphysical theory which can never be confirmed through scientific observations (despite insinuations to the contrary by multiverse proponents). Contrary to what some have claimed, looking for evidence of some unusual “flow” in some part of our universe could never confirm a theory of a multiverse, nor could any observations of early universe conditions. Such observations would at best imply that there was something that we did not understand about our universe, or that perhaps there was some “sister universe'' next to our universe (although such an area should more properly just be considered an unobserved part of our universe). We could never make any observations from our universe that would confirm that there are a vast number of other universes with different characteristics. An additional problem with the multiverse is that it leads one to believe in something that is 100% contrary to what our observations tell us. All observations made by physicists and astronomers support the idea that the universe is incredibly uniform. By comparing observations made by pointing telescopes in opposite directions of the sky, astronomers can compare one section of the universe with other sections on the opposite side of the observable universe. When they do this, they find a picture of incredible uniformity. The cosmic background radiation, for example, is uniform to within 1 part in 100,000. The laws of nature seem to be the same everywhere. The universe looks the same in all different directions. We have no good evidence that the laws of nature and the universe's fundamental constants have varied across the observable universe during the past ten billion years. If they had, the universe would not look as it does to astronomers. So nature is screaming at us: uniformity, uniformity, uniformity. But the multiverse theory paints the exact opposite picture, a picture in which there is nothing like uniformity (with each universe having different characteristics). To believe such a theory, we must ignore the message that nature is shouting at us, and believe in some other imagined reality that is the exact opposite of what we observe. In a very real sense, therefore, the theory of a multiverse is counter-observational. Believing in an infinite variety of universes each with very different properties is rather like believing that the sun cycles through an infinite variety of different shapes – an interesting idea, and perhaps possible, but one that is completely at odds with what our observations tell us. Another problem with the multiverse reasoning is that it “proves” the wrong thing. An effective theory of multiple universes would be one that showed a likelihood that our universe would have the characteristics necessary for life purely by chance. The multiverse theory does not claim to show that. Instead it claims to show that “some universe” would by chance have the properties necessary for life. Now you may say: “some universe” and “our universe” – so what, no big difference. But there actually is a gigantic difference between the two. Confusing “some universe” and “our universe” (thinking as if they were the same) is an error in logic, an example of careless, sloppy thinking. So as we can see, there is a gigantic world of difference in this case between “some ticket” and “our ticket.” There is an equally gigantic world of difference between “some universe” and “our universe” when we consider universes. Showing that some universe (under a multiverse theory) would be successful does not show that our universe would be successful. In fact, the multiverse scenario does absolutely nothing to make it more likely that our particular universe would by chance have the characteristics necessary for intelligent life. If the chance of our universe being successful were 1 in a billion trillion quadrillion before we assume the multiverse, that chance is exactly the same even after we assume a multiverse. When mathematicians talk about probability, they speak of a trial as being something that might produce a favorable outcome (examples are a roll of a dice, a dealing of 5 cards from a deck, or a purchase of a lottery ticket). But it is a general rule of probability that increasing the number of trials does not increase the chance of success of any one trial. From a purely explanatory standpoint, a multiverse is therefore the ultimate absurdity: a theory that introduces infinite baggage that serves no explanatory purpose, because it does not increase the odds of our universe being successful. The thing that a multiverse “explains” (some universe being successful) is not what we need to have an explanation for (the fact that our universe was successful despite such enormous odds). John: It required so many improbable coincidences for our universe to have intelligent life – what could be the explanation? James: A lucky “1 in a zillion” accident – pure blind luck. John: That's too farfetched, because it would have required something like a 1 in a 1,000,000,000,000,000,000,000 shot. James: Well, there could be a multiverse. Maybe there's an infinite number of universes. Some of them might have got lucky. John: An interesting thought. But still, why was our particular universe so lucky? Here James has introduced an extravagant theory that accomplishes nothing. Before introducing his multiverse theory, his explanation for the universe's habitability was a lucky 1 in a “zillion” accident, and he is still stuck with that explanation even after introducing the multiverse scenario. The multiverse theory accomplishes nothing for him. The typical process of rational explanation can be described as follows: (a) examine some thing that needs to be explained; (b) select some type of explanation that has been proven successful for other cases; (c) apply such an explanation to explain the thing that needs to be explained. For example, if we see something strange in the sky that is unexplained, we can try to explain it by selecting “weather phenomenon” as our type of explanation, because we know that numerous previous items have been successfully explained by postulating weather as the explanation (for example, the morning dew on the grass of your lawn). More adventurously, we can explain the strange thing in the sky as an alien spacecraft. 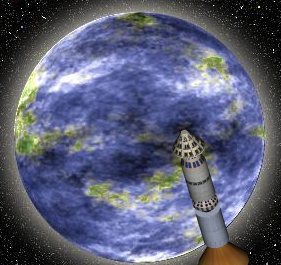 While we do not have a verified case of anything being successfully explained by exactly postulating an extraterrestrial spacecraft, we do have numerous observations that we know have been successfully explained by advancing this type of explanation – numerous strange lights in the sky have been explained successfully by mentioning some type of spacecraft (earthly spacecraft). But in the case of a multiverse, it is an entirely different story. We have not one single verified case of anything that has ever been successfully explained by advancing any theory like the theory of a multiverse. A multiverse explanation therefore has a singularly low credibility. One can compare it to a totally new type of machine that has never been proven to work before. For the multiverse enthusiast, this is an insolvable dilemma. We can have no confidence in multiverse explanations until we can have a verified case of this type of explanation explaining something, but it is impossible to reasonably imagine anything ever getting a verified explanation through this type of explanation (whether it be our universe's fitness for life, or anything else). A multiverse theory is in fact a kind of inane all-purpose explanation engine. It can be used to “explain” almost any absurdity or any theory no matter how improbable. Let's randomly imagine an absurd theory which I may call the alien deception theory. The theory is that evolution is false, and that all of the fossils we have found suggesting evolution were planted on our planet by aliens trying to fool us into believing that evolution occurred. A multiverse theory “proves” this alien deception theory to the exact same degree that it “proves” that our universe's favorable characteristics are due to an accident. Exactly the same reasoning may be given for both: even though it may seem very improbable that such a thing would occur, we would expect it to occur some times given a vast number of universes. I could go on and on with similar examples. Basically whatever crazy theory you wish to believe in, you can justify with multiverse reasoning. Do you want to believe that underground is a vast kingdom of leprechauns, cute little people like those in Irish mythology? Do you want to believe that these little leprechauns are all riding along underground on little unicorns? You can get there with a multiverse. You simply reason that no matter how improbable such a thing may be, we would expect it to have occurred at least once if there are an infinite number of universes. Similarly, whenever your eyes seem to tell you of some fact with great certainty, you can use multiverse reasoning to support the idea that what you are seeing is not really happening. If you are unlucky enough to walk up to your house and see it burning on fire, you can convince yourself that this is a hallucination. If you then think a normal person like yourself would never have such a hallucination, you can use multiverse reasoning to squash that objection. You simply reason that no matter how improbable it may be that a normal person would have such a hallucination, we would expect such a thing to occur many times if there are a vast collection of universes. 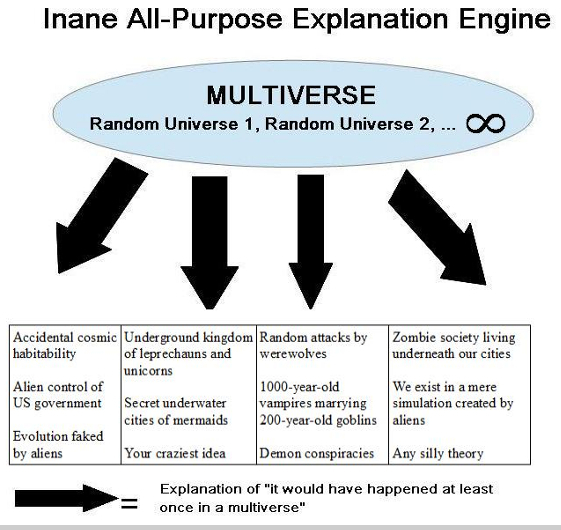 The graphic below visualizes my point that a multiverse can be used to “explain” any absurdity. A multiverse can be basically used to explain anything. That which explains anything explains nothing. should prefer those theories which best predict (for this or any universe) the phenomena we observe in our universe. There is lots of photographic evidence on the Internet purporting to show various types of evidence. Some claim to show evidence of paranormal things such as ghosts, orbs, or UFOs. Others may claim to show evidence of health-related claims, or evidence of various unexplained anomalies such as Bigfoot. Others may present photos attempting to back up more modest claims, such as the claim that “my cat is really smart” or “my dog has special abilities.” But many a modern scientist may think that all such evidence can be ignored, on the grounds that it does not meet the “gold standard” of publication in a peer-reviewed journal. But is some experimental evidence described in a peer-reviewed journal generally better evidence than photographic evidence in a scrupulous photo blog (such as one that is careful about requiring that photos be from a dated identified source, rather than passing along anonymously posted photos)? I think it is not. I will now give some reasons to support this claim. Reason #1: Photographic evidence is in general better evidence than merely experimental evidence. In general, photographic evidence is more convincing evidence than experimental evidence. For example, imagine if I do some experiments suggesting that John Blackheart killed his wife. Whatever such experiments suggest, they do not have the evidence value of a photograph showing John Blackheart killing his wife. Similarly, I may do some fancy computer experiments suggesting that a particular star is going to soon explode. But such experiments do not have the evidence value of a photograph showing the star actually blowing up. Reason #2: The number of hard-to-detect “ways to go wrong” in a complex experiment is much greater than the number of hard-to-detect “ways to go wrong” when taking a photograph. Once we dismiss some invalid claims of skeptics (some of whom incorrectly imagine that the air in front of our cameras is typically filled with dust sufficient to mislead us, and that your ordinary breath is sufficient to produce what looks like a ghost in a night photo), we find that the number of ways in which you can go wrong when taking a photo is pretty small. It is also true that in almost every case in which a photographic mistake might mislead you, the mistake is easily detectable. For example, if you point your camera at a bright light, it may produce lens flare that misleads you; but that has a very characteristic look, so it's easy to detect (and easy to avoid). Similarly, if you move your camera violently while taking a picture, that may produce a ghostly look that misleads you. But that also will produce a very characteristic look that is very easy to detect, and avoid. The same thing holds true for the mistake of photographing your camera strap – it may create a weird-looking white streak that may mislead you, but it has a very characteristic look that is very easy to recognize. So in general, detecting errors in photos is pretty easy, and avoiding such errors is also pretty easy. But when it comes to experiments, we have a totally different situation. There are countless subtle ways in which a complicated experiment might go wrong. A scientist might make a mistake in setting up the “controls” that are used with the experiment. Or he might make a mistake in any of a number of measurements used in performing the experiment. Such a mistake could involve using some piece of fancy equipment incorrectly, which is very easy to do (since such instruments are often harder to use than one of the old VCR machines). Or a mistake (such as ordinary human clerical error) might be made in writing down a result after reading a scientific instrument. Or a mistake might be made when tabulating or summarizing data collected from different sources. Such a mistake might be as easy to make as a typographical error entered into a spreadsheet. Similarly, scientific work based on computer experiments offer 1001 opportunities for error. Such experiments often involve many thousands of lines of code, and a programming bug might exist in any one of those lines. Also, experimental bias might lead to errors in the design or interpretation of the data. In short, photographs are much simpler than complicated experiments, and offer much less opportunity for error. Reason #3: Many scientists have financial incentives to cheat on experiments, but most bloggers do not have any financial incentive to cheat when producing photographs. The overwhelming majority of blogs make no significant money for those who write them. So almost all bloggers have no financial incentive to cheat by posting fake photos. But when it comes to scientific papers, one often finds a different situation. Many scientists have financial incentives to cheat on experiments. The most obvious case is scientists who are taking money (directly or indirectly) from corporations that desire a particular experimental result (corporations such as oil companies, tobacco companies, and pharmaceutical companies). More generally, it would seem that many scientists have a financial incentive to cheat in order to produce some dramatic experimental result (although this does not tell us anything about what percentage of them cheat, and we may presume that most do not cheat). A scientist who can claim to have produced some breakthrough result is more likely to keep his job, or to get a better job. Reason #4: Peer-review is greatly overrated, because it is an anonymous process that does not involve auditing the data behind a scientific paper, and therefore does little or nothing to show that the paper was produced without cheating. We have heard so much hype about peer-review being some “gold standard,” that one might imagine that when a paper is peer-reviewed by other scientists who didn't write the paper, those scientists drop in on the paper's authors to check their source data and log books, to make sure that things were done without any cheating. But nothing of the sort happens. Instead, peer-review is an anonymous process. A paper's authors never meet those who are doing the peer review. Accordingly, peer-review offers little opportunity to detect that an experiment was done without cheating. A peer-review may be able to detect if a paper commits math errors or errors of fact (such as listing the wrong chemical formula for a particular molecule). But a peer-review cannot find something such as an experimenter who simply faked things in order to be able to claim an experimental breakthrough, and enhance his job prospects. Detecting such a thing would require face-to-face visits, which don't occur under the peer-review process. Reason #5: You have no way of detecting whether an experimenter cheated while doing the research for a peer-reviewed paper, but you can investigate the authenticity of Internet photos. There exists software that you can use to detect fake photos. One example is the free site www.fotoforensics.com. The site is easy to use. You can go to a blog, cick on a photo to get a URL that lists only that photo, and then paste in that URL into the “URL” slot on the www.fotoforensics.com site. Could you use any similar technique to check out the validity of the original source data from which peer-reviewed scientific papers were written? No, because scientists rarely publish such data. Reason #6: Scientific experiments are often robbed of their evidence value by a subsequent experiment on the same topic, but a similar type of thing is rarely possible with a photograph. A scientific paper on the PLOS One site had the startling title “Why Most Published Research Findings are False.” One of the points made in this paper is that scientific studies are very often contradicted by later scientific studies on the same topic. For example, one study may show that Substance X causes cancer, while a later study may show that Substance X does not cause cancer. As reported here, a head of global cancer research at Amgen identified 53 “landmark” scientific papers, and had his workers try to reproduce as many as they could. It was found that 47 of the 53 results could not be replicated. So it is very common – perhaps even probable – that a randomly selected peer-reviewed paper of experimental results may be “undone” by subsequent research. But there is no such problem with a photograph. Suppose one investigator gets a photograph seeming to show a ghost (or an orb with a face) at a particular location. If you take a later photograph of the same spot that does not show such an anomaly, that does not at all undo or cancel out the previous photograph. The evidence of that photograph still stands. It is immune to disprove by taking additional photographs at the same site. While such photographs (if made in sufficient number) may show that some paranormal thing does not usually occur at some location, they can never show that the first photograph did not capture a paranormal sight that may occur only rarely. A typical scientific paper is reviewed by two people, and then receives no further peer review after its publication. Part of the reason is that online scientific journals offer no convenient mechanism for posting comments to a published paper. It is true that the http://arxiv.org server (which hosts lots of physics papers) has a “trackback” mechanism by which you can write a blog post and then have your blog post be listed in the same place that the original paper is available online (kind of buried at the bottom). But you can do that only by using some nerdy hard-to-use “embedding” technical trick. Partially because it is so hard to post an online comment to a scientific paper, most peer-reviewed scientific papers end up being reviewed by only 2 peers of the paper's authors. But a popular post on a photo blog may end up getting dozens of user comments, many of which qualify as being a form of peer-review. So a popular post may end up getting ten times more peer-review than the average scientific paper. In short, there is no sound basis for thinking that experimental evidence published in peer-reviewed journals is a form of evidence superior to photographic evidence published on scrupulous web sites. The myth that publication in a peer-reviewed journal is some greatly superior “gold standard” is a convenient excuse used by many materialists, an excuse for ignoring evidence that may upset their worldview, and contradict their dogmatic assumptions. But there is no sound basis for assuming that some experimental result published in a peer-reviewed journal is more likely to be true than something that is shown abundantly in photographs outside of a peer-reviewed journal. One of the disadvantages of living in the city is that you are deprived of one of the great experiences of living: the experience of staring in awe at a clear sky filled with thousands of twinkling stars. There is something very special that happens during such a experience. It is as if you get in touch with some deep, mystic part of your soul that is normally hidden. Somehow the darkness around you and the dim, distant stars above you combine to create some feeling of awe, mystery, and wonder that you simply can't get by looking at an astronomical photo while sitting in your well-lit home. There is no way to have such an experience in New York City, because on a really clear night here you might see maybe five or ten stars. But 30 years ago in New York there was a place you could go to get the same type of feeling of cosmic wonder experienced by someone looking up at a night sky teeming with stars. The place was the old Hayden Planetarium, which served the public between 1933 and 1997. The old Hayden Planetarium had a planetarium theater with seats, but that wasn't the best part. The best part was the set of visual exhibits that surrounded the planetarium theater. The exhibits were kept in very dark light. Barely able to see your path in front of you, you would walk through dimly lit halls containing representations of distant galaxies, stars, and planets. The design of the exhibits was astonishingly successful in creating exactly the same type of feeling of dark, mysterious wonder and awe that someone feels when standing in the middle of a dark field, looking up at a sky ablaze with five thousand stars. But then some people had the idea of completely demolishing the old Hayden Planetarium. They tore it down and replaced it with some garish new building called the Rose Center for Earth and Space. The new building features some fancy architecture, and exhibits that always seem to be bathed in glaring bright light. The new building fails to create the emotional effect that the old Hayden Planetarium created so effectively: that same mysterious, marvelous feeling of awe and wonder you feel when looking at a dark night sky filled with stars. I wish that they had left the old Hayden Planetarium exactly as it was, or that they had created a new building using the same approach. The Rose Center for Earth and Space features a huge circular winding stairway that is supposed to teach you something about the age of mankind compared to the age of the universe. The idea is that you start out at the top of the stairway, at what is supposed to the Big Bang, the birth of the universe. Each step you take down the winding stairway is supposed to represent a particular unit of time. Then when you get at the end of the stairway, you see that all of human existence is shown in the last step. This is supposed to give you some “Aha!” moment in which you realize that man's existence has been short compared to the age of the universe. I would guess that this very expensive exhibit has little effect on the minds of 99% of visitors. That's because it's a big complicated attempt to get your brain to think in some totally unfamiliar way, in which you equate physical distance walked with lengths of time. The Rose Center for Earth and Space could have had three times the emotional impact for one third the cost if it had stuck with the simple low-tech approach taken by the old Hayden Planetarium: just try to recreate that same old, magical, mystical, mysterious feeling of awe and wonder that humans have felt for 40,000 years when they looked up at the night sky on a clear night. This week there was a bittersweet news story that has attracted wide interest because of its possible paranormal implications. About 10:30 PM on March 6, 2015, a car carrying Lynn Groesbeck and her 18-month-old daughter flipped over and crashed into the bottom of a small river. Apparently the mother was killed by the impact, but her daughter survived. Strapped into her toddler car seat, the toddler hung upside down in the overturned car. About 14 hours later an angler noticed the car, and called the police. "It felt like I could hear someone telling me, 'I need help,'" Office Bryan DeWitt told CNN affiliate KSL. "It was very surreal, something that I felt like I could hear." Upon opening the car, the officers found the mother had suffered severe trauma, and was apparently dead. By all indications she died when the overturned car plunged into the river. The child was “definitely unconscious and not responsive," says Warner. The 18-month-old child, thankfully, has survived and is in good health. The question is: how could such a voice have been heard, when the mother was dead, and the child unconscious? Unlike quite a few other paranormal stories, the Groesbeck case seems to meet excellent standards of credibility, having been reported by four respected witnesses who did televised interviews soon after the event. In terms of its credibility and evidential value, the case may rival the famous Pam Reynolds case. At the time of her brain operation, the late Pam Reynolds was a 35-year old who had a large brain aneurysm. She underwent a complicated operation that involved pumping out her blood and chilling her body temperature to only 60 degrees. Some twenty medical personnel worked on the complex operation. After the successful operation was over, Reynolds reported having a near-death experience. She reported floating out of her body, and witnessing her operation. She accurately reported details of some medical equipment that was used to cut her skull open, describing it as a “saw thing...like an electric toothbrush,” with “interchangeable blades” that were stored in “what looked like a socket wrench case.” She reported someone complaining that her veins and arteries were too small. These details were later verified. This was despite the fact that Reynolds eyes were covered throughout the operation, and her ears were plugged with earplugs delivering noise of 40 decibels and 90 decibels. Reynolds said that she then encountered a tunnel vortex, saw an incredibly bright light, heard her deceased grandmother calling her, and encountered several of her deceased relatives. Reynolds says she was told by her uncle to go back through the tunnel, and to return to her body. These details were originally reported in the 1998 book Light and Death by Michael Sabom MD. That book includes diagrams of the medical equipment used to cut open Reynold's skull. They match her descriptions very well. The Pam Reynolds case is something of a thorn in the side of materialists who believe that we have nothing like a soul, and that no can really have anything like a near-death experience in which they float out of their bodies. Some have attempted to explain away the Reynolds case. A recent attempt of this type is found in the 2015 book Waking, Dreaming, Being by philosopher Evan Thompson. There is no plausibility whatsoever in the ludicrous account Thompson has given. One can also note the human factors here. Imagine if you woke up during a brain operation, and experienced the horror of being conscious while someone saws into your skull. You would be enraged to have been subjected to such a vivisection. You would surely report such a horror, if only because it would pretty much guarantee you a huge amount of money in a malpractice suit. But Reynolds made no such report, but instead reported a pleasant near-death experience. What is the chance that someone would give such a pleasant report, exactly the opposite of the horror they experienced? About the same chance that you would go to a restaurant, nearly die from food poisoning, and then go online to report that the restaurant had given you an excellent dining experience. Thompson's suggestions that while someone was cutting open her skull, Reynolds got a mental picture of a toothbrush-like device because of “bone conduction” is just a leap into laughable speculation. There is not the slightest reason why one thing would follow from the other. Thompson also does nothing to explain Reynold's correct description of the medical instrument as having interchangeable blades that were stored in what looked like a socket wrench case, nor does he do anything to explain her correct report of medical personnel complaining about the size of her veins and arteries during the operation. As for Thompson's suggestion that Reynolds used some knowledge she got of the operation from the surgeon's description and from “having read and signed the informed consent form,” both suggestions are absurd. Surgeons do not give detailed technical descriptions of operations to patients, certainly not ones including the details of medical equipment they are going to use to saw open a patient's skull. Can we really imagine any surgeon in his right mind describing in detail bone-sawing equipment to a patient about to undergo brain surgery? No, because such a description would be completely unnecessary and would increase the patient's anxiety. Equally absurd is the suggestion that Reynolds may have learned something about her operation from reading an informed consent form. Such forms do not describe the technical details of medical equipment. Also, almost no one reads the fine print of such forms when they sign them, just as almost no one reads the fine print of a “user license agreement” before clicking on “I agree” when they sign up for services such as Facebook. In short, Thompson's attempt to explain away the Pam Reynolds case is simply a complete howler from beginning to end. If skeptics such as Thompson are going to bolster their claims, they will need not only an explanation of the Reynold's case vastly better than the one Thompson has given, but also an explanation for the new Groesbeck case that may be equally suggestive of a reality beyond our current understanding. Postscript: Below is a link to an extremely dramatic "chest cam" video showing the responders turning over the overturned car. and saving the baby from the car. At about 1:56 you hear some voice, possibly saying "why won't somebody help me?" -- but it's hard to hear. It's followed a few seconds later by one of the responders loudly and clearly saying, "We're helping, we're coming." The video corroborates the responders' claim that they heard a voice coming from the car, because an assurance of "we're helping, we're coming" would only make sense as a response to such a voice. Humans seem to take for granted any law of nature that regularly acts to their benefit, no matter how wonderful such a law may be, and no matter how improbable such a law may seem from the standpoint of random actions of material particles. If people had always lived in such a universe, would they regard this “law of soft collisions” as some evidence that their universe had been carefully designed? I think very many of them would not. Instead, they would simply take the law for granted – just as we take for granted the laws that make our existence possible. In such a universe we might see conversations such as the following. Physics teacher: So, to review our lesson for today, it is a fundamental law of nature that nothing can ever collide violently. We call this “the law of soft collisions.” So, for example, when people jump out of skyscrapers they always land softly and safely. And there has never been a death from an automobile collision. And when people fire bullets at other people, the bullets always swerve away from their targets or slow down, so that no harm is ever done. Student: My dad says that the “law of soft collisions” is so convenient that it may perhaps be a bit of an indication of some purpose or plan behind the universe. Physics teacher: Sentimental nonsense! The “law of soft collisions” is simply the way that nature has always worked, a “brute fact” that we can no more “explain” than we can explain the laws of mathematics. Returning to our universe, do we ever take for granted any laws that are as seemingly providential as this “law of soft collisions”? Yes, we do that all the time. The laws we take for granted are the laws of nature that make our existence possible. These laws include: the laws of nuclear physics that bind together protons and neutrons to become an atomic nucleus, the laws of gravitation that allows large bodies to form, the laws of electromagnetism that allow complex life to exist, the Pauli exclusion principle that makes solid matter possible, and also certain laws of quantum mechanics that allow the existence of atoms by making sure that electrons do not fall into the nucleus (something they would otherwise have a natural tendency to do because of the electromagnetic attraction between protons and electrons). We inevitably take all of these wonderful things for granted, simply because they are part of the fabric of reality as we have always known it. It is hard for us to imagine any other reality. But suppose we try really hard to imagine a completely different reality. Let us make such an attempt, by trying to imagine what it would be like if you had always lived in a truly random universe. In a truly random universe, there would be no convenient laws that cause matter to organize into galaxies, stars, planets, and atoms. So at first glance it seems impossible to imagine yourself living in such a universe, because biological life would be impossible. But let's get over this difficulty by cheating a little. You can simply imagine yourself as a disembodied spirit or energy floating around from place to place. What would life be like for you in this utterly random universe? We cannot imagine you living in a house, or walking on the ground, because there would be none of the favorable laws of nature that make possible planets and solid matter. But you can at least imagine yourself floating around like a misty cloud drifting in the wind. What kind of matter would there be around you in this random universe? There would be only disorganized matter drifting about. 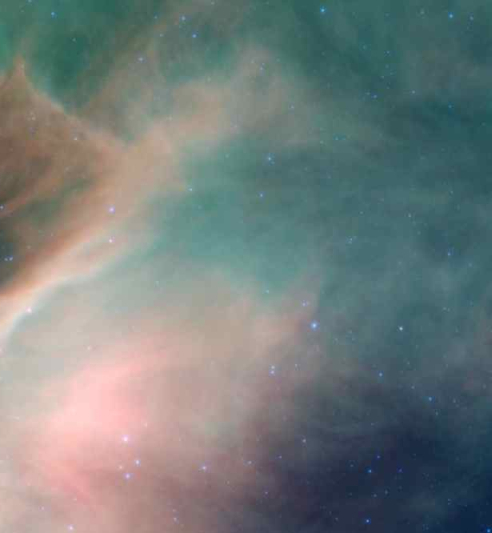 The closest thing in our universe to such matter would be the disorganized matter that drifts about in a gaseous nebula like the one shown below. Occasionally such drifting matter might form into interesting random concentrations, although nothing too interesting because of the lack of gravity. But you would not be able to appreciate even these mildly interesting concentrations of random matter. This is because there would be no sunlight or starlight anywhere in your random universe. Sunlight and starlight both requires stars, and stars require many favorable laws and some fine-tuned constants, which would not exist in your random universe. So you would not be able to see anything in this random universe as you drifted randomly from place to place. For you there would be no home, no solid matter, no beauty to appreciate. You would be like some blind cloud drifting around in a moonless night sky, being tossed around by dark, random forces. Life would be very, very dull. Now let us imagine that after living many years in such a blind, drifting existence in a dark random universe, you suddenly found yourself transformed into a material being standing on the surface of a solid planet. If you then learned about the laws that made possible this orderly material universe, you would have the greatest appreciation for such laws that you had only just started to experience, regarding them as numinous marvels infinitely more amazing than having a huge monarch butterfly drift through your open window every day of the summer. But we can never have any such appreciation ourselves. We instead will always utterly “take for granted” whatever favorable laws exist in our universe, no matter how improbable or providential they may be. In part1, part 2, and part 3 of this 4-part series of blog posts, I listed 36 things that science can't explain. In this post I'll finish up the 4-part series by listing 14 more things that science cannot explain. Savants are individuals who have some mental disability but also have some extraordinary mental talents. Many people are familiar with savants from the film Rain Man starring Dustin Hoffman, based on an actual savant. An example of a savant is Daniel Tammer, who has been diagnosed with Asperger Syndrome. He holds the European record for reciting Pi from memory, to 22,514 digits. Supposedly he learned the Icelandic language in only ten days. Another example of a savant is the late Kim Peek, who supposedly could accurately recall the details of 12,000 books he had read, despite having an IQ of only 87. Like several savants, he had the ability to instantly calculate the day of the week on which any person he met was born. Still another savant is Derek Paravicini, who can play a piece of music accurately after hearing it just once. He was born very prematurely, at only 25 weeks. While science can explain while people deprived of some sense (such as sight) may have increased abilities relating to some other sense, science suggests no explanation for why a severe deficit in one mental area might lead to a radically improved ability in some other area, an ability we would not expect any human to have. A placebo is typically a sugar pill that a doctor gives to a patient, merely in the hopes that the patient's belief that he is getting an effective treatment will actually do some good. The placebo effect is the astonishing degree to which placebos are actually effective in reducing symptoms. One study indicates that half of a drug's effectiveness may be due to the placebo effect. Another study indicates that when patients are given a placebo pill labeled as a drug, it does just as well in alleviating migraine headaches as when patients are given an actual drug labeled as a placebo. Why should people so often get better or have their pain eased simply because they believe they are taking some medicine that is effective? The placebo effect suggests a “mind over body” effect which modern science is quite unable to account for. Most of the laws of nature have been given names by scientists. But there is one very important law that hasn't been give a name, so I sometimes give it a name by calling it “the law of the five allowed stable particles.” This is simply the law that when high-energy particles are colliding, resulting in a shower of “daughter particles,” nature always makes sure that the resulting stable particles are one of only five types: protons (with a rest mass of 1.672 X 10-27 kilogram), neutrons (with a rest mass of 1.674 X 10-27 kilogram), electrons (with a rest mass of 9.109 X 10-31 kilogram), photons (with no rest mass), or neutrinos (with almost no rest mass). Stable particles between these masses are never created from these high-energy collisions of particles. For example, in subatomic particle colliders such as the Large Hadron Collider, we only see the creation of stable particles that are the electron mass or about 1836 times the electron mass, and never see the creation of stable particles that are between 100 and 1000 times the electron mass. Why does nature follow this rule? We know the rule is beneficial to life, as it allows for the kind of “standardization” that facilitates life's existence. But science has no idea why nature should follow this law in such an invariable way, as if it had been programmed into nature by some cosmic programmer. Verified premonitions can be defined as cases in which someone has a feeling or dream about something that is going to happen in the future, only to later find just such a thing did happen. Many fascinating cases have occurred in human history. Two weeks before he was assassinated, Abraham Lincoln had a dream that he would be assassinated. The famous writer Mark Twain had a dream about the death of his brother that turned out to closely match what happened a few days later. Several people had premonitions that something would go wrong on the Titanic before it sunk. One person who had a ticket on the ill-fated ship had two dreams that the ship would overturn, with passengers in the water. According to research published in the Journal of the Society for Psychical Research, dozens of people had premonitions of disaster before the Aberfan avalanche that killed 144 people. Some had dreams about such a disaster before it happened. During World War II Winston Churchill had two premonitions that may have saved his life or those of others. One premonition led him to switch sides on his staff car. A bomb then went off on the side he moved away from. Another premonition led him to tell his kitchen staff to leave the kitchen and go underground. A bomb then destroyed the kitchen. A number of people also had premonitions of the September 11, 2001 attacks on the World Trade Center. In early September, Lawrence Francis Boisseau had a dream that the World Trade Center was collapsing around him. Boisseau was killed in the attack. Science offers no explanation for such cases, other than the unconvincing explanation of mere coincidence. According to his research, in some directions of the sky there is an almost exact balance between galaxies that are spinning in a “left-handed” way and galaxies spinning in the opposite, “right-handed” way. But in other directions of the sky, “left-handedness” can be preferred by as much as 7% over “right-handedness.” For more information, read this blog post. When Doug Bower and Dave Chorley in 1991 claimed to have made some 200 crop circles since the 1970's, their story was taken as fact by skeptics, despite the lack of any explanation as to why the two would have done this incredibly laborious task for more than a decade without profiting from it. This incident kind of illustrates that when a skeptic is presented with testimony that he doesn't want to believe, he will invent endless excuses for not accepting the testimony. But when testimony is presented that a skeptic wants to believe, he may accept it without proof, no matter how farfetched it may be. There is, in reality, little basis for accepting Bower and Chorley's farfetched tale, and since it was made in 1991 by men in their sixties, it cannot be used as an explanation for crop circles that have continued to appear around the world since then, often with incredibly intricate patterns that seem impossible for any small team of humans to have created overnight. Kepler 78b is a planet so strange that it will be one of the topics discussed next month on an episode of NASA's Unexplained Files. For a discussion of why science is currently unable to explain this planet, see this blog post. You can do a Google image search for “moving orbs” to see an astonishing set of photos from many different web sites, sites showing unidentified circular objects or spherical objects moving at very fast speeds. Since such photos show strong motion blur and the photographic effect known as ghosting, they are indications of objects moving very rapidly, much faster than 100 miles an hours. Skeptics and scientists have no plausible explanation for these anomalies. One utterly lame explanation is to suggest that such photos are produced when someone photographs moving insects. That doesn't work, because the average speed of an insect such as a house fly is only about 3 miles an hour, and the photos of fast moving orbs show objects that seem to be moving more than 30 times faster than that. Moreover, photos of fast moving orbs (in particular, this series of 18 photos) often show the objects making sharp right-angle turns, sharp u-turns, and sharp undulations, which are types of motion that we never observe from dust, birds, or insects. See this post for a discussion of these experiences, in which people seemed to know about the deaths of people that should have been unknown to them. See this set of four blog posts for a discussion of recent anomalies on Mars that scientists and skeptics are unable to account for. Science currently has no good explanation for this long-standing mystery of why extraterrestrial life hasn't been discovered yet. While mentioning Fermi, I should also mention Fermi bubbles. 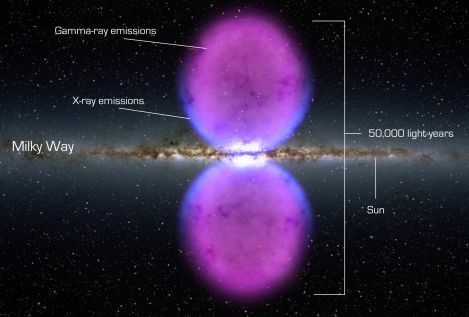 These are two gigantic bubbles of energy above and below the plane of our galaxy. Scientists have no good explanation for them. LEDA 074886 is a galaxy with a rectangular shape. Scientists have no good explanation for how this could have come about. 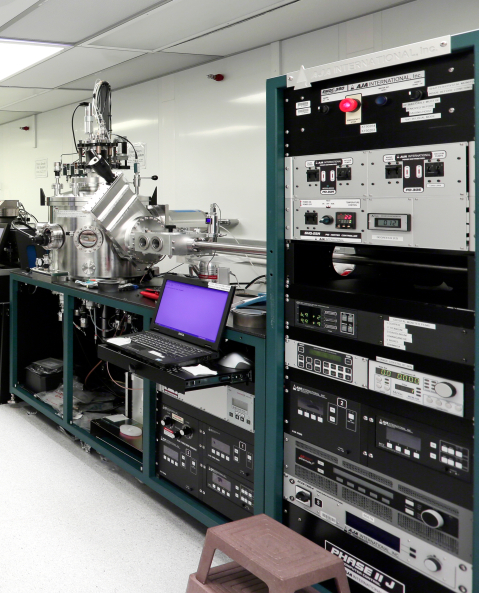 When certain experiments are performed, electrons seem to behave exactly as if they were particles. When certain other experiments are performed, electrons seem to behave exactly as if they were waves. Scientists have not been able to explain why this strange duality exists. It seems as strange as some animal that looks like a giraffe when you photograph it with an Olympus camera, but looks like a lion when you photograph it with a Sony camera. In part 1 and part 2 of this 4-part series of blog posts, I listed 25 things that science can't explain. Below is a discussion of some more things that science cannot explain. We know exactly how the memory of our computers and digital devices work. On the lowest level, all information is stored as binary bits, sequences such as 01100111010101; and such bits are stored magnetically on surfaces such as hard drives. But we have no such understanding at all of how our own memory works. Try looking up human memory on the Internet. You will get a lot of discussion that makes quite a few points that don't add up to a substantive answer. We have no idea whether memory is stored chemically, electrically, through neuron connections, through some combination of the three, or through some entirely different means. Nor do we have the slightest idea about what kind of code or alphabet the brain might use to store memory. A modern neuroscientist can say quite a few things about memory, but he can't really explain it. Dr. Ian Stevenson was an University of Virginia professor and MD who was once the head of the Department of Psychiatry at the University of Virginia. He spent decades gathering evidence for reincarnation, and published a 2268-page two-volume work Reincarnation and Biology, providing a huge amount of evidence. Stevenson's main technique was to investigate reports of children who claimed to have memories of past lives. He produced countless cases in which the details of the claims of the past life were verified. In very many cases the children making these claims seemed to have had birthmarks corresponding to the facts of the claimed previous life. For example, a child claiming to be the reincarnation of someone killed by a head blow might have a scar on his head. 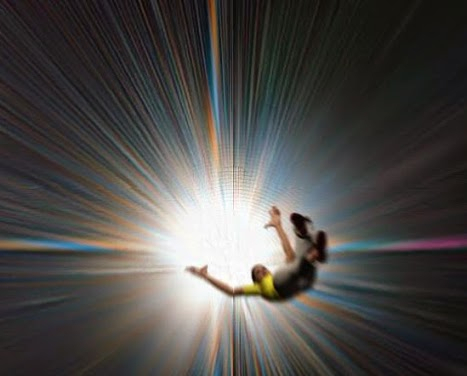 For us to have an explanation of such research, we would need either a parapsychological explanation involving actual reincarnation, or some naturalistic explanation of why children might incorrectly make such claims. Science offers us neither. According to the standard materialistic thinking that intelligence is purely a function of the brain, we would not expect that any small birds would have much intelligence. But scientific studies involving crows show that they have astonishing mental powers. One scientific study found that crows are as clever as children between the age of five and seven. Homing pigeons are pigeons that can find their way home over very large distances, sometimes more than 1000 miles. Science offers no good explanation for either of these capabilities. Humans have some capabilities that we can explain from an evolutionary standpoint, such as vision, the ability to run, the ability to grasp, and the ability to detect distant predators. We can explain the growth of such things by saying that the more humans developed such capabilities, the more likely they were to survive – so natural selection caused such capabilities to grow. But there are quite a few refined characteristics of humanity that cannot be explained in terms of evolution and natural selection. They include man's spiritual capacity, aesthetic appreciation, compassion, mathematical abilities, language abilities, and the ability to perform philosophical thinking. None of these things made a primitive caveman more likely to survive until reproduction, so none of them can be explained by referring to natural selection or evolution. How did man get such capabilities? Science has no real answer. Above the subatomic level, it is true in nature that the smaller or less massive a thing is, the more common it is. But when we come to the subatomic level, such a principle is abandoned. Protons are 1836 times more massive than electrons, but as far as we can tell, protons are about as common as electrons. This is a very convenient state of affairs, as atoms require an equal number of protons and electrons. Life would probably be incredibly difficult or impossible if electrons were about a thousand times more common than protons, as there would be so many excess electrical charges lying around that people would probably kill themselves whenever they touched a rock. A scientist might claim to explain the electrical balance of the universe by evoking the law of the conservation of charge, the law that when something like a high-speed particle collision occurs, the number of stable positive charges that result must be the same as the number of stable negative charges that result. But scientists have no explanation for why such a law should exist. When we consider that we have no understanding of why there should not be a universe with zero electrical charges, or a universe with nothing but positive electrical charges, or a universe with nothing but negative electrical charges, it seems all the more inexplicable that nature should have some built-in “book balancing” system that guarantees that the total number of positive charges always balances the total number of negative charges. Nina Kulagina was a Soviet woman who seemed to have astonishing psychokinetic powers. She was studied at length by scientists who saw evidence of highly paranormal abilities, and who could find no evidence of trickery. In the video below we see Kulagina apparently moving small objects such as match sticks in some paranormal way, even if the objects are enclosed in a transparent container (which should have prevented any possibility of fraud). Science has no explanation for this anomaly. On the 75th space shuttle mission (STS-75), astronauts deployed into space an object with a thin tether that was supposed to stretch to a length of 12 miles. The tether broke, and astronauts filmed its appearance in space. The video showed an extremely strange event in which what looked like a swarm of objects floated around the tether. Although later dismissed as mere dust particles near the camera, most people watching the video get an impression of something totally different. The objects floating around the tether wiggle around like microbes seen under a microscope. Moreover, many of the objects look very similar, appearing to have some kind of hole in the middle. Some of the objects are seen moving behind the far end of the very distant tether, something completely incompatible with an explanation of nearby dust particles. Science offers no good explanation for this amazing event, which seems to point towards some reality entirely beyond our understanding. The objects photographed could be some kind of objects of alien manufacture, or perhaps some totally different paranormal phenomenon having nothing to do with extraterrestrials. We know that the early universe was incredibly smooth. About 380,000 years after the Big Bang, the universe was uniform to 1 part in 100,000. We know that from the cosmic background radiation, which has no lumps greater than 1 part in 100,000. You may get the wrong idea by looking at one of those maps of the cosmic background radiation that show different colors. Those maps are amplifying differences of only 1 part in 100,000. 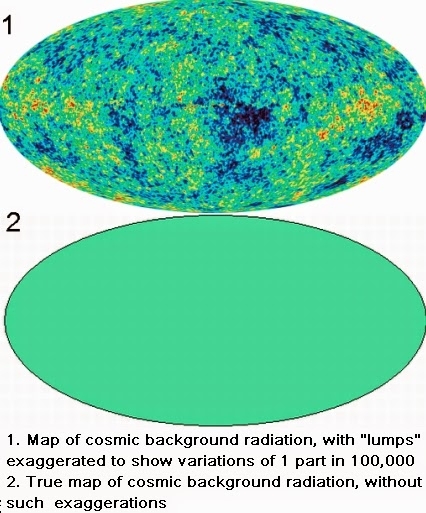 A map of the cosmic background radiation that does not use such an amplification would consist of a single color. But such almost perfect smoothness, physicist Sean Carroll has pointed out, would not occur in more than the tiniest fraction of the trajectories that the universe might have had after an event such as the Big Bang. How small is that fraction? On page 21 of a scientific paper Carroll estimates that “the total fraction of the trajectories that are smooth at early times” is very roughly 1 in 10 to the 66 millionth power. That's a fraction equal to 1 in x, where x is 10 followed by 66 million zeroes. Mediums often seem to have knowledge acquired by paranormal means. The standard skeptical explanation for such mediums is that they either engage in fraud, or engage in an information-fishing technique called cold reading. But such explanations fail to explain the cases of Leonora Piper and Gladys Osborne Leonard. Leonora Piper was a medium investigated for years by scientists and skeptics. She was investigated by an extreme skeptic named Richard Hodgson, who set out with the goal of debunking her, and even had her trailed by detectives. After a long study of her, Hodgson became convinced she was obtaining information by paranormal means. The same conclusion was reached by the eminent psychologist William James, who also investigated her. Piper was never found cheating. A similar case was that of Gladys Obsborne Leonard, who was the subject of more than 35 articles and papers published in the Society for Psychical Research and the American Society for Psychical Research. Leonard excelled in what are known as book and newspaper tests, a type of test that would seem to offer no possibility of fraud, and in which there is no possibility of success through cold reading. Like Piper, Leonard was never found guilty of cheating or fraud. The subatomic level does not allow a continuous range of values. Instead only certain values are allowed. Electrons are not allowed to have any old energy level within an atom (and if this were allowed, electrons would fall into the nucleus, and atoms would not be stable). Instead electrons can have only a certain relatively small number of possible energy levels within an atom. It's rather like a school that only allows students who weigh 70 pounds, 85 pounds or 93 pounds. Why does this restriction exist? Science cannot tell us. The restriction seems all the more remarkable when we consider that outside of an atom, electrons can have any degree of energy. Dreams seem to serve no purpose, so why should we have them? Science has no real answer.